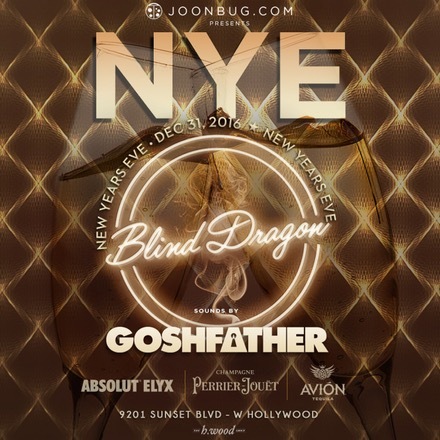 This New Year’s, head to Blind Dragon in Los Angeles for a night of party transcendence. Let the call of the spirits lead you to the 5-hour premium open bar. When you’re all fueled up, hit the dance floor for a live DJ performance featuring an open format selection of Top 40, Hip-Hop, House tracks. Enjoy a complimentary champagne toast and complimentary NYE party favors to accompany the exhilarating, DJ-led live countdown at midnight. For exclusive perks, choose from a selection of VIP table packages for bottle service and a private karaoke room. When prompted, please disregard the group code. Please enter promo code in the bottom right corner. Updated pricing will appear on the screen prior to checkout. Please contact The SELECT Concierge with any questions.